A wealth of techniques are available to automatically discover business process models from event logs. However, the bulk of these techniques yield procedural process models that may be useful for detailed analysis, but do not necessarily provide a comprehensible picture of the process. Additionally, barring few exceptions, these techniques do not take into account data attributes associated to events in the log, which can otherwise provide valuable insights into the rules that govern the process. This paper contributes to filling these gaps by proposing a technique to automatically discover declarative process models that incorporate both control-flow dependencies and data conditions. The discovered models are conjunctions of first-order temporal logic expressions with an associated graphical representation (Declare notation). 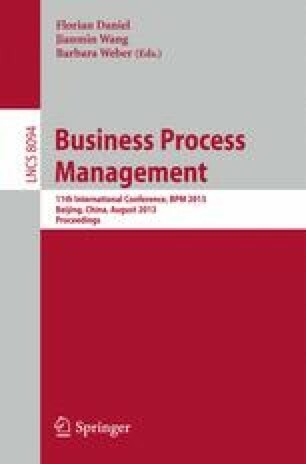 Importantly, the proposed technique discovers underspecified models capturing recurrent rules relating pairs of activities, as opposed to full specifications of process behavior – thus providing a summarized view of key rules governing the process. The proposed technique is validated on a real-life log of a cancer treatment process.